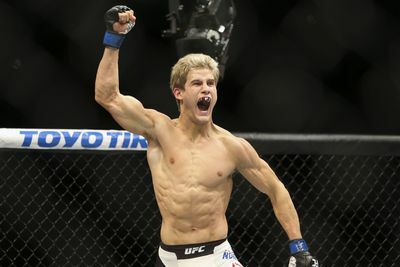 Teenage mixed martial arts (MMA) dynamo — and current undefeated (6-0) Ultimate Fighting Championship (UFC) Lightweight super prospect — Sage Northcutt plans to return to the Firas Zahabi-led Tristar mixed martial arts (MMA) gym after pulling up stakes sooner than expected. “It looks like after my fight on Dec. 10, I’ll be going back there and staying for a few weeks to train at Tristar and then coming back here (Katy, Texas) for a few weeks,” Northcutt recently told MMAmania.com. The “Super” one headed north to get a feel for the facility and to get in some work with Welterweight stalwarts Georges St-Pierre and Rory MacDonald, among others, to help prepare for his upcoming showdown with Cody Pfister at UFC Fight Night 80, which will take place inside “The Cosmopolitan” in Las Vegas, Nevada, next week. And from the sound of it, both sides seemed to have mutual respect for each other.